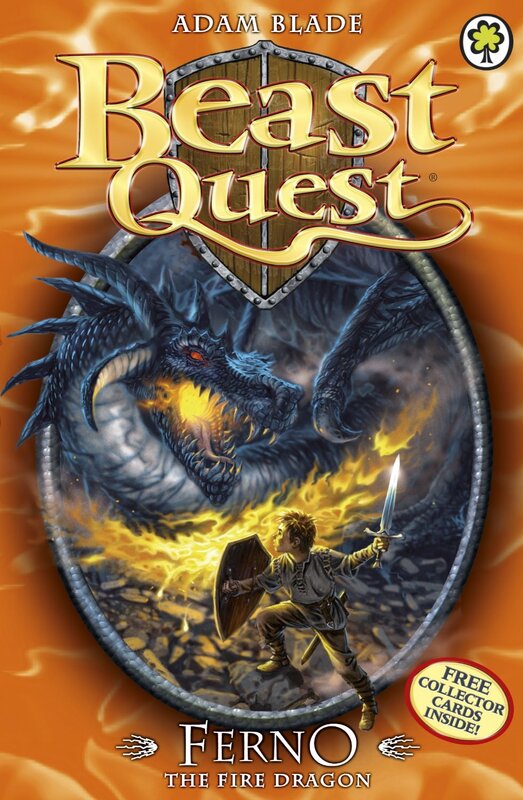 Beast Quest is a best-selling series of children’s fantasy novels published by Orchard Books in the UK and by Scholastic Corporation in the US and is aimed largely at boys aged 7 and over. The above is the cover of Ferno the Fire Dragon, the debut novel in the series. The font used for the series title is very similar to Obelisk Medium by Phill Grimshaw, and for the elegant serif setting the novel name and the author name, it is Charlemagne Regular by Carol Twombly.